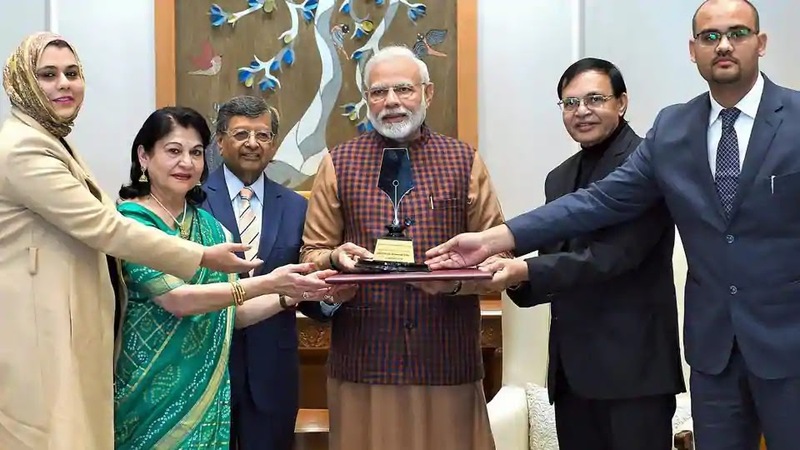 Prime Minister Narendra Modi was awarded the first ever Philip Kotler Presidential Award. 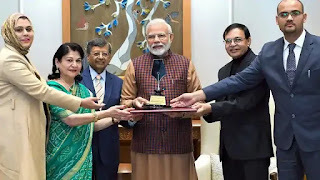 Philip Kotler Presidential Award aims to spread examples of individuals and companies who create an innovative culture for the economic, social and technological advancements of an industry or a country. PM Modi was selected for his outstanding leadership for the nation. PM Modi's selfless service towards India, combined with his tireless energy has resulted in extraordinary economic, social and technological advances in the country. Under PM Modi's leadership, India is now identified as the centre for innovation and value-added manufacturing (Make in India), as well as a global hub for professional services such as information technology, accounting and finance. Modi's visionary leadership has also resulted in the digital revolution (Digital India), including the Unique Identification Number, Aadhaar, for social benefits and financial inclusion. Initiatives such as Make in India, Startup India, Digital India and Swachh Bharat have positioned India as one of the most lucrative manufacturing and business destinations in the world. Philip Kotler, a professor of marketing at Northwestern University, Kellogg School of Management is also known as 'Father of Modern Marketing'. Apart from marketing, Philip Kotler has extensively written on education, environment, government marketing, healthcare, hospitality, and innovation. The Philip Kotler Presidential Award is constituted to honour mastery in the field of marketing and management. The award recognises and celebrates achievements of organisations, marketing teams, and individuals in different industries around the world. Q. Who was awarded the first ever Philip Kotler Presidential Award?